The Cabana in Napier is New Zealand’s oldest live music venue and celebrates its 60th this year. Established in a time when NZ had only one TV channel and a couple of radio stations, the Cabana was an essential meeting place for Hawke’s Bay with live music up to six nights every week. “If you wanted to be entertained you had to go out. There was nothing to do at home but watch Coronation Street with your mum; you had to go out your front door to be entertained,” says Cabana ‘guv’nor’ Roy Brown who took over eight years ago when a group of musos and fans rallied to save the venue, which was on the brink of closing its doors for good. Brown, himself an accomplished musician, says when he was a teenager, the Cabana was the number one place to play. 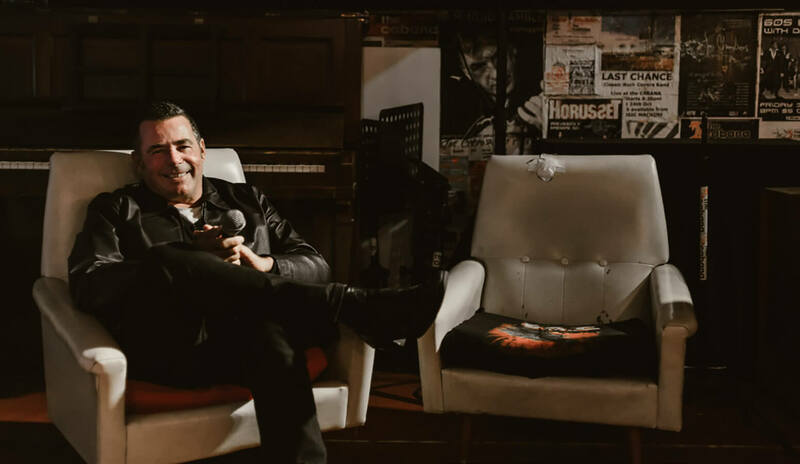 “It was the coolest gig you could get in Hawke’s Bay.” When the call came to save the place 30 years later he had to say Yes. The Cabana was the vanguard of a past era, but is still as vital today as it was back then. “It’s important it stays for young musicians, to give them somewhere to play,” says Brown. Alongside regular nights featuring Hawke’s Bay’s up-and-coming talent the Cabana hosts the big names of the NZ music scene as well as many touring here from overseas. A list of those who’ve played the Cabana is a ‘who’s who’ of New Zealand music history: MiSex, The Feelers, The Exponents, Salmonella Dub, Phoenix Foundation, The Eastern, Hello Sailor, Black Seeds, The Chills, Head Like A Hole, The Mockers, Sharon O’Neill, Blerta, The Crocodiles, Blam Blam Blam, DRAGON, Herbs, Headless Chickens, Split Enz…all the legends. The Cabana is a modest place, but if the walls could talk – and through the wallpapering of gig posters they almost can – they’d tell stories of heady nights, dancing til dawn, and big names finding a sanctuary here in Hawke’s Bay from long and tiring tours. Highlights for Brown have been meeting idols like Lloyd Cole, Steve Kilbey from the Church and Glen Shorrock from the Little River Band. “Having my biggest influences, my absolute heroes playing here, in my bar, that’s a buzz,” he says. To celebrate the Cabana’s 60th year Brown is planning two months of headlining acts and over 20 separate gigs including Devils Elbow, Skinny Hobos, Jordan Luck Band, Ladi6, The Kawekas, Swamp Thing and Dave Dobbyn. Full details at cabana.net.nz.